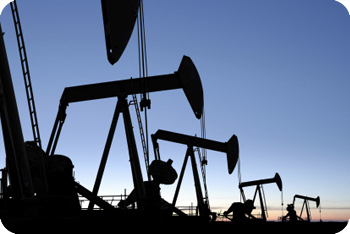 In the new world of the digital oilfield, data must be timely, accurate and accessible. Field systems such as field data capture must integrate with back office applications seamlessly and transparently. If not, several issues can arise, affecting data validation, data quality and business versus operation demands. To fully realize the value of existing reservoirs and operational infrastructure, better operational data is required. In order for the oil and gas industry to effectively manage existing reserves and future oil and gas developments, it will be essential for business technology to integrate key operations with information and communications technology. Integrated operations and business processes allow for oil and gas experts, regardless of physical location, to make informed, real-time business decisions. Integration also enhances the ability to manage and control equipment and processes remotely, while moving various operations and personnel onshore. When petroleum engineers, geologists, financial analysts and oilfield operations managers work within an integrated network – where field data capture systems are linked to office information systems – their executives receive a greater holistic view of assets and management. With more accurate information, executives have immediate access to enterprise data needed to make key business decisions, like optimizing assets in changing market conditions. The integration of upstream operations and technology drives a higher level of performance that statistically wouldn’t be realized otherwise. The end result can be a distinctive competitive advantage. Not capitalizing on this economic opportunity is a waste, which affects not only the bottom line but the shareholders and employees, as well. How are you leveraging technology and IT resources to ensure more accurate data reaches key decision makers at critical times? What applications and systems do you find work best for integrating upstream operations?